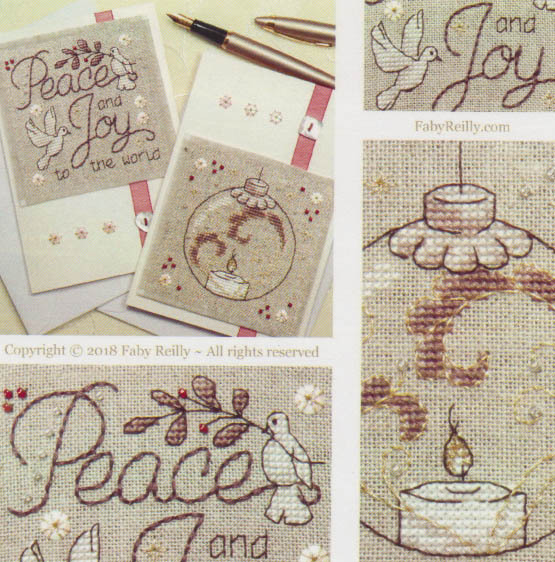 Two Christmas designs that can be made into cards or use for other projects. Peace and Joy to the World - with dove. Glass ball with candle. Count: 50 x 50. Models stitched on 32 ct Raw linen belfast.